Ghana’s Minister of Youth and Sports, Isaac Asiamah told the delegation of African Table Tennis Federation (ATTF) led by its President, Khaled El-Salhy that the country is willing to restore its table tennis lost glory with the staging of the tournaments, which he said will help to unearth players that will represent Ghana at the 2023 African Games to be hosted by the West African nation. 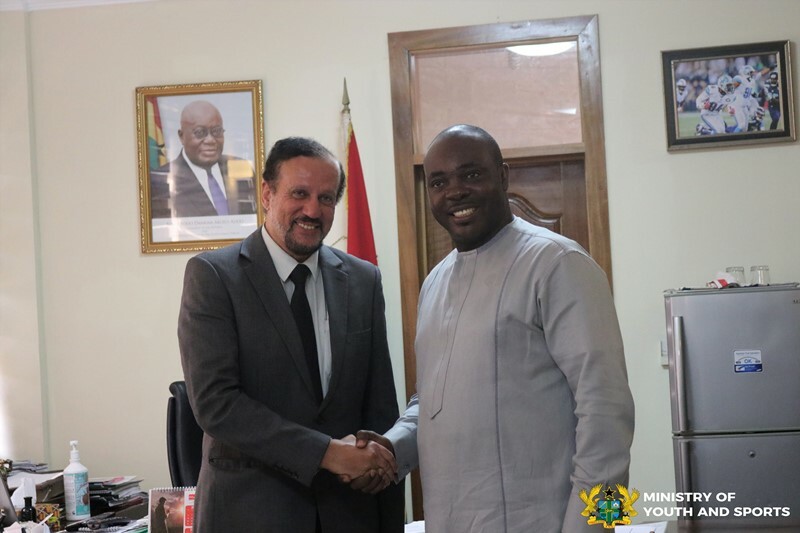 The youthful minister, however, thanked ITTF and ATTF for choosing Ghana to host such important tournaments as the country possess great potentials in table tennis. “We are grateful to ITTF and ATTF for choosing Ghana as host of these important competitions and for us; we are excited that this is in line with our ideals of growing all sports from grassroots levels. We have been working hard to revive our school sports because we know we have the potential to be among the best in sports. I am also using this opportunity to charge the Ghana Table Tennis Association (GTTA) to focus on schools across the country to be able to discover new talents that will make our country proud at the 2023 African Games which we are hosting,” Isaac Asiamah. A former national table tennis star in Ghana and Technical Adviser to the Minister, Emmanuel Owusu-Ansah, who was part of the golden generations in table tennis stars in the West African nation recalled the golden days to Ghana’s dominance of table tennis in Africa. “I remembered that we used to dominate table tennis in the 1970s until 1973 when Nigeria hosted the African Games in Lagos that the dominance was thwarted and since then we have been struggling and I believe with the hosting of this kind of junior events, it will help us to discover new players toward the 2023 African Games,” Emmanuel Owusu-Ansah said.